We bring forth an extensive array of high performing Feeder Pillar that is highly appreciated by clients. The Feeder Pillar range is characterized with weather resistant construction for safety and durability. 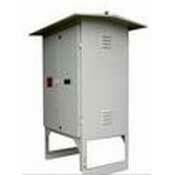 The range of Feeder Pillar is superior in quality and thus high on demand in the industry.